A community built and contributed collection of practical recipes for real world Golang development. Want to help/add something? Submit a pull request. Supports 17 different platforms (including Arduino, Beaglebone, Pebble, and Sphero). Capture your Go metrics via expvar and/or statsd, and Datadog can instantly graph, slice, and aggregate them on demand, at any scale. Easily correlate Go metrics with what's happening throughout your infrastructure. 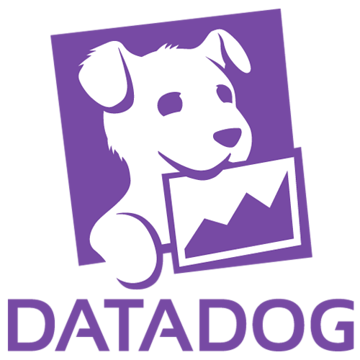 Start your Free Datadog Trial Today! Cloud Debugger makes it easy for you to track down problems in your Go programs running on Compute Engine. Set a snapshot location and view application state when that line of code is executed. A zero-conf load balancing HTTP router for deploying microservices. Services provide a host/path prefix they serve and fabio live-updates the routing table based on availability. Azure App Service now includes experimental support for running Go with web apps. Fast HTTP microservice written in Go for high-level image processing backed by bimg and libvips. Packed with features and aimed at simple deployment via Docker or Heroku. Get familiar with advanced concepts like ES6, promises, prototypal inheritance, async coding & more. An excerpt from an under-development Go book, Learn Go. Very beginner-friendly. A real-time digital forensics and investigation platform built in Go.